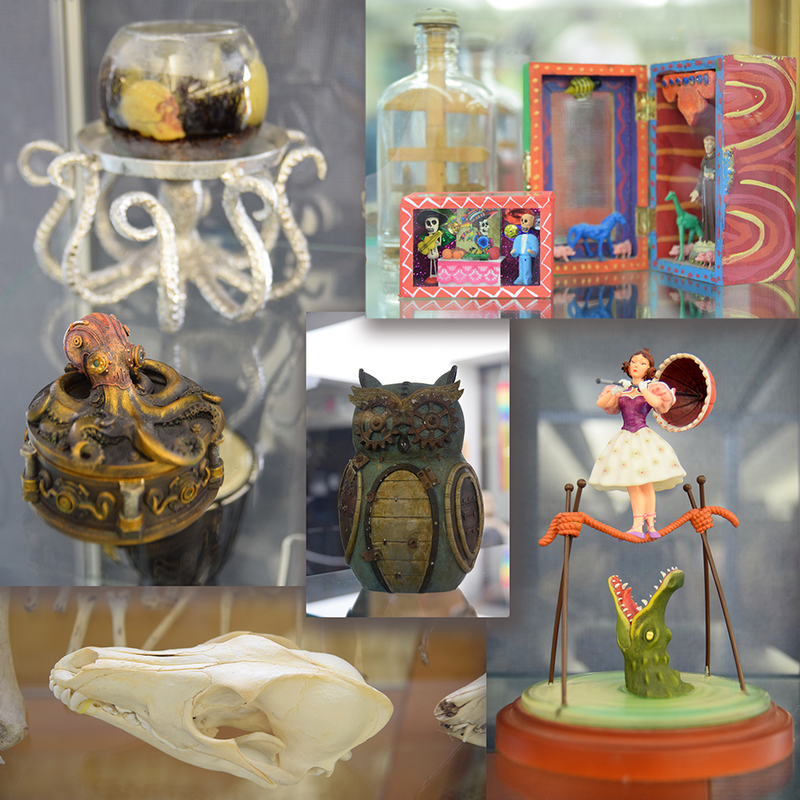 IMSA faculty jean bigger, Sarah O’Leary-Driscoll, and IMSA student Isabella Huynh-Pham have started this new exhibit by bringing in some of their own favorite oddities – and now they’re inviting you to share your weird and wonderful treasures too! Items will be displayed in the library’s locked cabinets, under the skylights, through May 2018. Come by the IRC and satisfy your curiosities! This entry was posted in Displays on March 20, 2018 by bbixby.